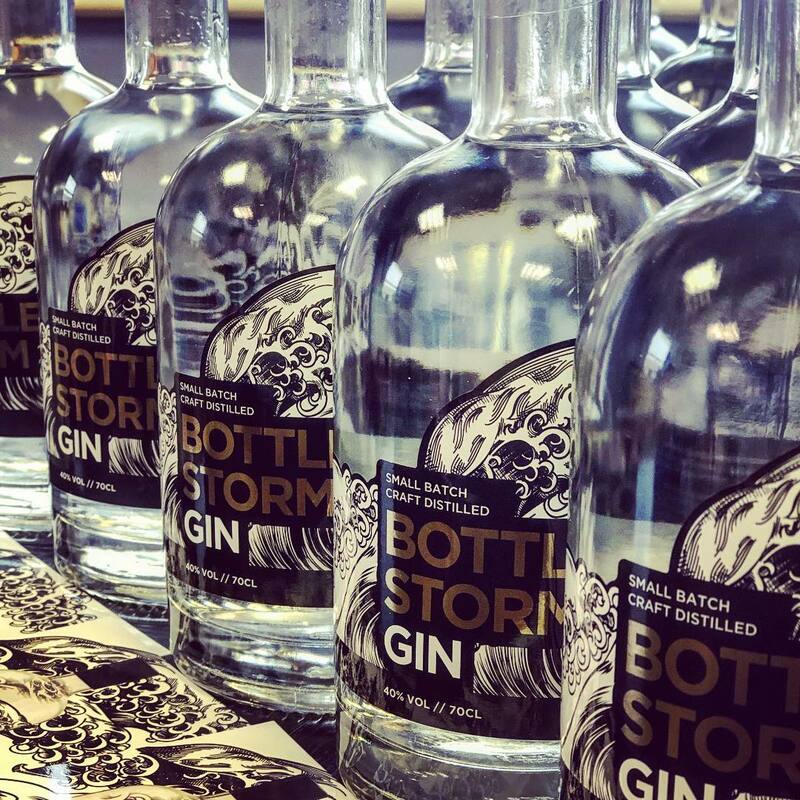 We recently completed the design for Black Storm’s first distillery product – Bottled Storm Gin. Small batch and craft distilled, the gin is distilled in batches of 40 bottles at a time. Launching at CarFest in Hampshire, and here in Black Storm’s home – the North East – over the bank holiday weekend (25th August 2018) Bottled Storm Gin is the first of their distillery range of products. The label features a detailed die cut with bold illustration, and gold foil, and wraps around the bottle to tell the story of the gin. Alongside the brand and label design, we produced launch marketing material to support the launch events.